Jon Jones returns to UFC Octagon last night (Sat., Dec. 29, 2018) in the main headliner of UFC 232 PPV event after sitting on a shelf for a year and a half due to a failed drug test, yet his recent pre-fight sample also came out abnormal that caused a lot of stir among fans and fighters. Regardless of that fiasco ‘Bones’ came with the full swing and defeated his longtime rival Alexander Gustafsson via third-round TKO to reclaimed light heavyweight gold, recently vacated by Daniel Cormier. After the big win, ‘Bones’ immediately turned his attention to No. 1 rival Daniel Cormier who held the belt while Jones struggled to keep his fighting career from falling due to PEDs related issues. 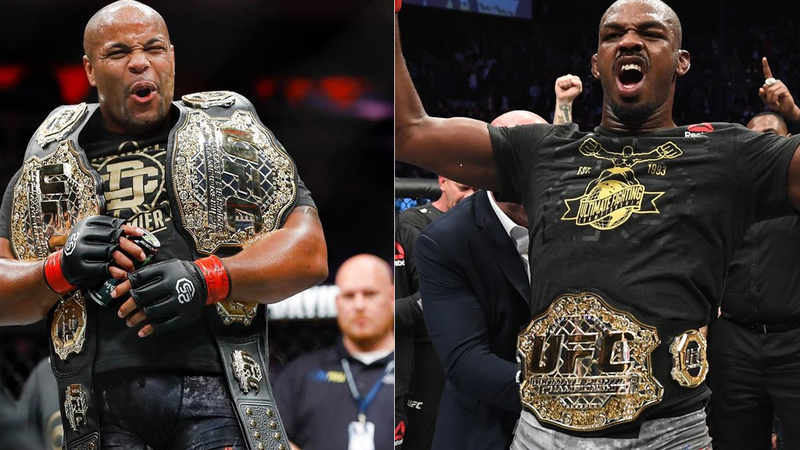 Given a history between Cormier and Jones, ‘DC’ didn’t hold back and reacted to ‘Bones’ last night win. Shortly after his previous tweet, ‘DC” responds to Dominick Cruz that he’d he be open to a trilogy fight as long Jones comes out clean. @DominickCruz you just said outside of all the testing stuff. Is there really stuff outside of the testing? Or we just do more testing and neither of us fail. That would be best case! We do that I’ll be back at 205!!!!! While Cormier already discussed his retirement plan, when he hit his 40th birthday in March. But according to UFC head honcho, Dana White said at UFC 232 presser that he sees a fire in Cormier’s eyes last night and believes ‘DC’ should fight three more times before hangs his gloves for good. Share your thoughts, who wants to see Jones vs. Cormier 3 next?